Thank you very much, Carl!. It was a fun experience! We spent the night in the nearby town in a wonderful Motel and had excellent food in the restaurant! Revisiting to tweet, you know this reminds me of the stone hedge made with cars !! We found it delightful, Elizabeth! We spent the night in Alliance, enjoyed Carhinge, and ate at a wonderful restaurant. Thank you for commenting! Thank you, Miroslava! It was fun! Thank you, very much, Lisa! Thank you, so very much, Pravine! We found it quite delightful. Thank you, so very much, Mitch! It was a delight to come upon this so totally unexpectedly! Beautifully done! I love this! v/f!! Hi Lenore! Thank you very much! LOL, Thank you, Meg. It was quite an unexpected sight to see. We were very close to you, then, when we saw the "real thing", several years before we came across this enchanting spot! We loved Stonehenge also! Thank you for your wonderful comments! Great capture of this American adaptation of Stonehenge, my Friend! 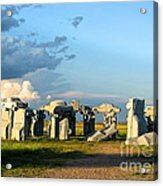 L&F Footnote: Located just north of Alliance, Nebraska, Carhenge was created in 1987 by Jim Reinders, as a memorial to his father. Thank you, Jack, Zulli, very much! Thank you Geraldine. It was fun finding this! So cool! What a wonderful find! Thank you, Robert. It was a wonderful surprise to find on our way back to the west coast from Iowa! This is so cool. Love it..have never seen it before. Thank you, Ellen. We found it by accident. Well, at least, unexpectedly, and thoroughly enjoyed it! LOL, Well I think it is FUN! And the food, there is wonderful! Thank you Elizabeth for your fun comment! Thank you, Bobbee! It was quite a surprise to come upon this in our travels around the U.S. Thank you, Bill, for all! Great photo of funny mock- up of Stonehenge! LOL! 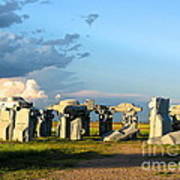 I love your comment on Carhenge! Thank you, very much, Stephen. Delightful! 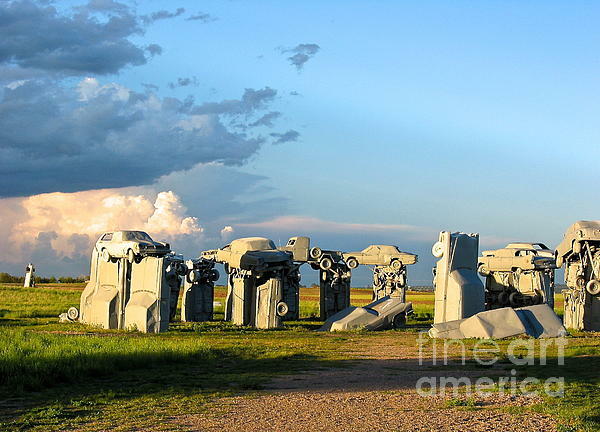 With no offense to Carhenge. LOL. Yes, it is there... Thank you for your comment, Beverley. It was quite amazing to come upon it unexpectedly! Thank you for your nice comment and v. I appreciate all! Thank you, very much, Dean, for all. Very appreciated! Your artwork was published in the internet publication, ARTIST NEWS today. Thank you for your submission of this piece of work... Bob Johnston. 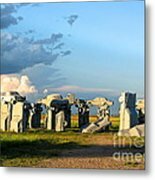 Thank you very much, Nadine and Bob for the publish on Carhenge!